We have been raising dogs for over 25 years. We are located in North Western Arizona close to the Colorado River. 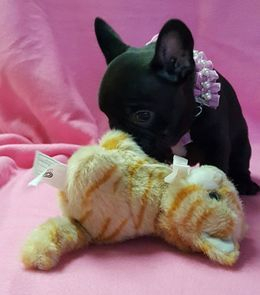 All our dog's are Registered AKC French Bulldogs. 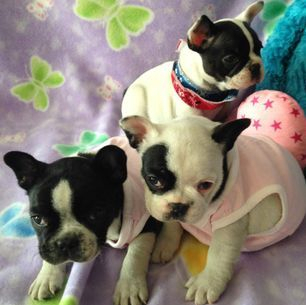 On occasion we have French Bulldog Puppies for sale. Also known as Frenchies. 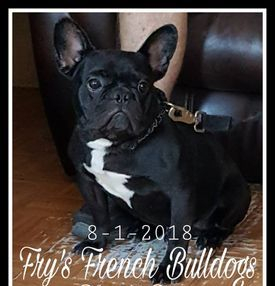 We first fell in love with the French Bulldog breed several years back when I was showing UKC American Pit Bull Terriers and that's when I first saw French Bulldogs in action at the dog shows. Well they swept me off my feet ! They are so sweet, funny and loving, I simply had to have one ......... now I / we have several. Our dog's are raised in our home as part of our family with lot's of love and socialization with other adult dog's, cat's and children and they go for car rides and walks with us when the weather permits. 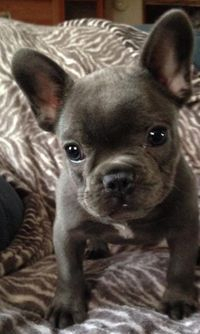 We strive to breed healthy, confirmation correct, Quality French Bulldogs for the betterment of the breed ! All of our dogs are AKC registered and have many Champions in their bloodlines. We want to insure that our babies get the best possible start for a great life and a loving home ! 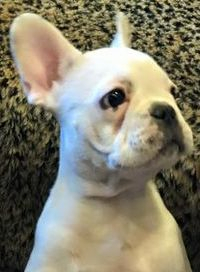 All of our pups are vaccinated and wormed by our Veterinarian on a regular basis and started on potty training, crate training and leash training when old enough. Each puppy goes home with a puppy package containing a small bag of the food he or she's been eating and a folder with their shot records and worming schedule. Puppies are ready to go at 9-10 weeks of age, after they have had at least 2 sets of puppy shots for their protection! 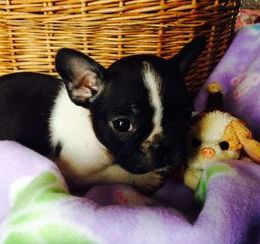 A non- refundable deposit is required to reserve/hold the puppy you choose. We offer a one year Health Guarantee Contract . Veterinarian & Previous puppy buyer references are also available. 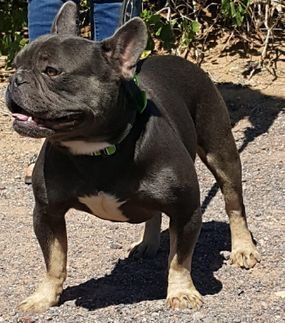 We raise all colors that are recognized in the AKC breed standard for French Bulldogs and other color's like blue, solid black, blue fawn, blue & tan, blue brindle, chocolate and black & tan. No matter what color they are, they are still the sweetest, silliest and most fun loving little dog around! Our price's vary depending on their DNA/Color/Bloodlines, Limited or full AKC reg. 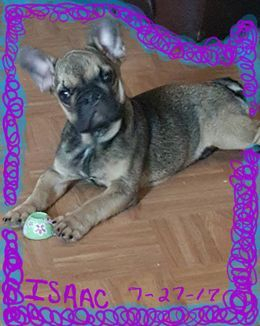 Our standard colored puppies run $3000.00 to $4000.00 depending on if your wanting full AKC registration with breeding rights or Limited AKC registration without breeding rights. 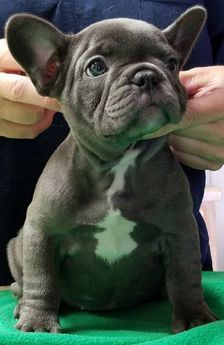 Our Blue, blue brindle, blue pied, blue fawn, solid black, Blue & Tan, Black & Tan or Chocolate pups start at $3500.00 & up depending on full or limited AKC registration. 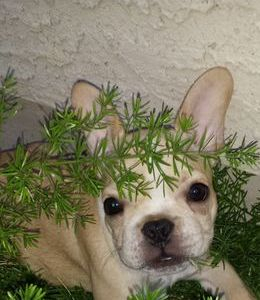 Yes, French Bulldogs are very expensive but they are worth it ! 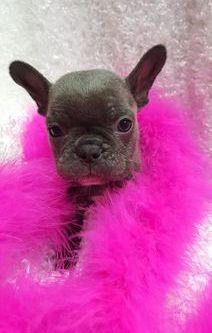 French Bulldogs are expensive to breed. 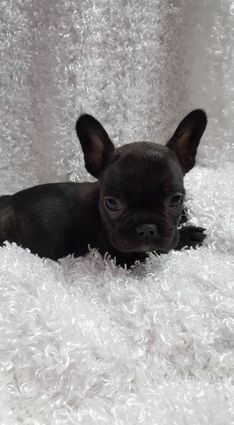 They usually have to be artificially inseminated, most cannot have natural birth's and must have very costly C-section's to deliver their pups and even then you may only get one or two pups, these are just a few of the reasons French Bulldogs are so expensive. 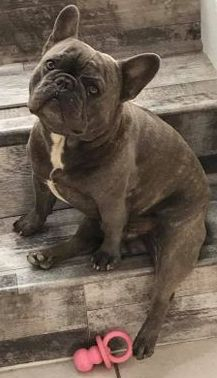 French Bulldogs are not the breed for everyone. If your looking for a dog to go jogging with you or to live in the back yard then this is not the breed for you. They do enjoy nice short walks in cool weather though. 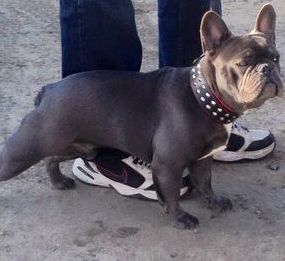 French Bulldogs only require minimal exercise and make great apartment dogs. 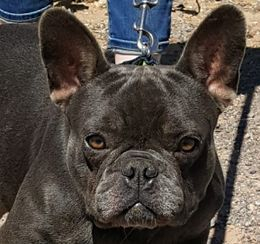 This breed does require to be indoors with air conditioning in the summer and heating during the winter month's as they are not able to regulate their body temperature as well as other breeds due to their short muzzle's and therefore can become over heated very quickly! 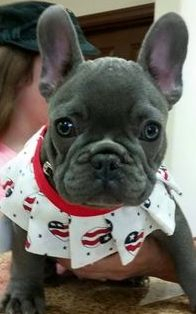 Also most French Bulldogs cant swim! 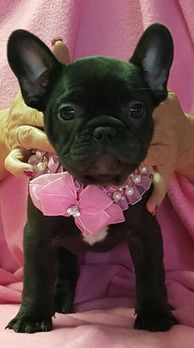 If you are considering getting a French Bulldog from us or anyone else, please do some research on the French Bulldog breed before making a life long decision to add one these precious little creatures to your family. 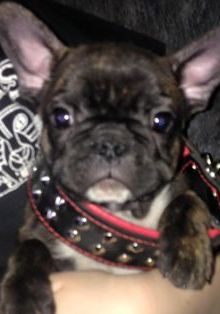 You must remember French Bulldogs are bred to be a companion dog - that's truly what they want to be is with you. While they do love to play, they're Usually right in your lap or snuggled up in bed with you! We love our babies and want them to have long, happy, healthy life's! YOU CAN ORDER THIS! We use it and strongly recommend continued use for our puppies. Use this code to order 50556. For more information see our NuVet Page, click on the more tab at the top.